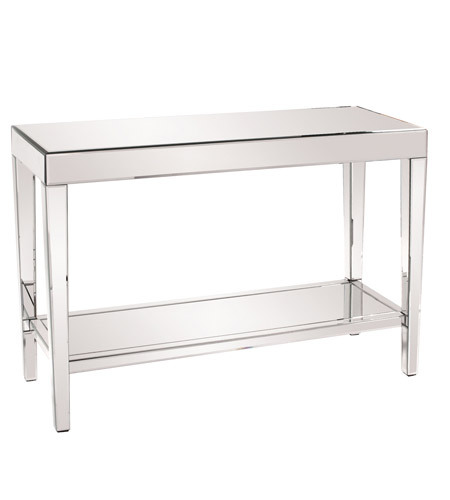 This console table features a simple rectangular shape with a completely mirrored body. The entire piece is mirrored making for the most beautiful displays of light and reflection. It has a bottom shelf for extra storage. Each mirrored panel has a small bevel that adds to the table's style and beauty. This contemporary table will look great in an entryway, hallway, living room or any place you need a console table!